The weekend mood was somewhat missing today as the markets will be open for a special trading session tomorrow. The benchmark indices kind of dilly-dallied during the course of the day even as select midcap and Smallcap stocks stole the limelight. The Sensex started the day on a promising note, at 21,824, and soon touched a high of 21,870 – as the overnight US cues were positive. The index, however, could not hold gains at higher levels owing to profit-taking in key index heavyweights. 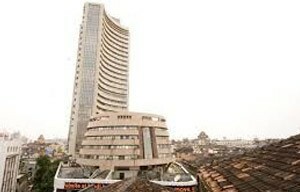 The Sensex pared gains and slipped into the negative terrain to a low of 21,730. 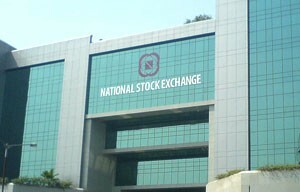 The BSE index finally ended on a flat note at 21,754 – up 14 points. Among the Sensex 30 stocks – Tata Steel surged 3.5 per cent to Rs 363. Hindalco and Wipro also soared over 3 per cent each to Rs 123 and Rs 568, respectively. Axis Bank, Tata Motors and Tata Power were the other major gainers. 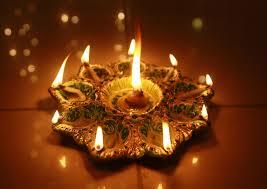 On the other hand, ONGC shed 2.7 per cent at Rs 307. Reliance, Hero MotoCorp and Sun Pharma were down around 2 per cent each. Among sectors – thanks to Tata Steel – the BSE Metal index soared almost 2 per cent to 9,205. The Realty index also surged nearly 2 per cent to 1,370. On the other hand, the Oil & Gas index tumbled nearly 2 per cent to 9,055. 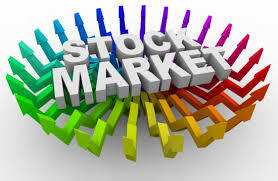 The market breadth was positive – 1,580 stocks advanced as against 1,253 declining stocks today. Axis Bank was in limelight today on the back of reported stake sale by the government. The counter witnessed multiple block deals around the day’s low of Rs 1,313 in early deals. The government was supposed to offload 9 per cent stake or 42.2 million shares in the company today. The counter witnessed heavy volumes of around 52.68 million shares on the BSE. The stock rebounded sharply in the second-half of the trading day, and zoomed to a high of Rs 1,411. The stock finally ended with a significant gain of 2.7 per cent at RS 1,393. In other markets news, the CPSE Exchange Traded Fund was over-subscribed with cumulative bids for over Rs 3,150 crore as against the government target of raising Rs 3,000 crore from the ETF. The FIIs alone bought shares worth Rs 750 crore, and seven anchor investors including SBI bought shares worth Rs 835 crore. In other news, the government’s plan to double gas prices from April is likely to thrust down the government efforts of cutting down the fiscal deficit. The gas price hike will increase the annual cost for urea production by Rs 1,000 crore, says reports. The government sets the urea prices; any increase in the cost of production of urea is met through higher subsidy for the manufacturers. From the political battle – in yet another blow to their senior leaders – BJP has not given a ticket to Jaswant Singh to contest polls from Barmer, and instead appointed Colonel Sonaram Choudhary. Reports indicated that Singh, who is reasonably unhappy with the decision, has given an ultimatum to BJP – saying that it may contest as an Indepedent from the Barmer constituency if denied the seat. Further, reports indicated that Shiv Sena, which, is an allay of BJP is likely to fight against the party outside Maharashtra – in places like Delhi and Uttar Pradesh. In some international news – the US markets may be cheerful today after ratings agency Fitch affirmed the United States’ credit ratings at ‘AAA’ with a stable outlook, thereby removing the danger of a possible downgrade. Fitch had put US outlook in the negative watch list last October.